1: Dance With Me (3:36) => Rating: 4 2: Avez Vous Un Cigarette? (5:17) Rating: 4 Lyrics by: Brian McNally & Matthew Cramer Record date: 08/06/2005 AAD by Brian Cameron Copyright © 2005 The Sheep Fiends Foundation. 3: Keep On The Sunny Side (4:32) Rating: 5 Copyright: © 2003 June Carter Cash & Gary Garett Record date: 08/06/2005 Also appears on: Recover AAD by Brian Cameron Copyright © 2005 The Sheep Fiends Foundation. 4: Wading In The Velvet Sea (3:22) Rating: 3 Copyright: © 1998 Phish Record date: 02/20/2005 AAD by Brian Cameron Copyright © 2005 The Sheep Fiends Foundation. Contributions by Nathan Peck are Copyright © 2005 Nathan Peck. Other contributions are Copyright © 2005 The Sheep Fiends. 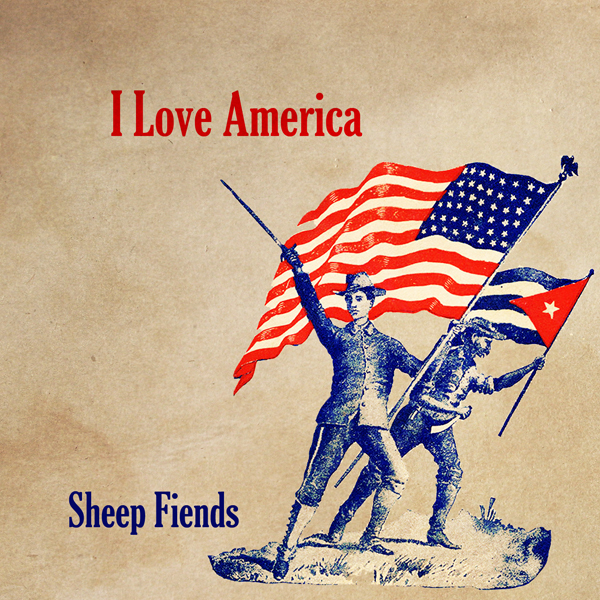 This song as recorded with The Sheep Fiends © The Sheep Fiends Foundation. 6: Sinister Happenings (7:38) Rating: 4 Lyrics by: Brian McNally Record date: 04/10/2005 AAD by Brian Cameron Copyright © 2005 The Sheep Fiends Foundation. Contributions by Greg Winston are Copyright © 2005 Greg Winston. Other contributions are Copyright © 2005 The Sheep Fiends. This song as recorded with The Sheep Fiends © The Sheep Fiends Foundation. 11: Heavy Things (3:21) Rating: 4 Copyright: © 2000 Phish Record date: 08/06/2005 Also appears on: Recover AAD by Brian Cameron Copyright © 2005 The Sheep Fiends Foundation. 13: Misguided Angel (4:33) Rating: 4 Copyright: © 1988 Margo & Michael Timmins (Cowboy Junkies) Record date: 08/06/2005 AAD by Brian Cameron Copyright © 2005 The Sheep Fiends Foundation. Contributions by Nathan Peck are Copyright © 2005 Nathan Peck. Contributions by Nat Soti are Copyright © 2005 Nat Soti. Other contributions are Copyright © 2005 The Sheep Fiends. This song as recorded with The Sheep Fiends © The Sheep Fiends Foundation. 15: Hamburger (4:53) Rating: 3 Lyrics by: Brian McNally & Matthew Cramer Record date: 08/06/2005 AAD by Brian Cameron Copyright © 2005 The Sheep Fiends Foundation. 16: Reprise (1:46) Rating: 4 Record date: 08/06/2005 AAD by Brian Cameron Copyright © 2005 The Sheep Fiends Foundation.